Davos - Deputy President Cyril Ramaphosa, who is next in line to lead the country, said the government currently can’t afford to build new nuclear power reactors. “We have to look at where the economy is - we have excess power and we have no money to go for a major nuclear plant building,” Ramaphosa told reporters on Thursday at the World Economic Forum in Davos, Switzerland. Ramaphosa’s approach differs markedly from that of President Jacob Zuma, who he succeeded last month as head of the ruling African National Congress. Zuma has championed plans to build as many as eight reactors that would generate 9 600 megawatts of energy starting from 2023 and cost as much as R1trn ($84bn) - a programme critics say the country can’t afford and doesn’t need. While court challenges stalled the government’s plans to seek bids to build new atomic plants last year, Zuma signalled that he wanted to revive the nuclear programme when he reshuffled his Cabinet in October and changed his energy minister. Ramaphosa, who is expected to succeed Zuma as president within the next few months, has said the government should focus on developing other forms of renewable energy. 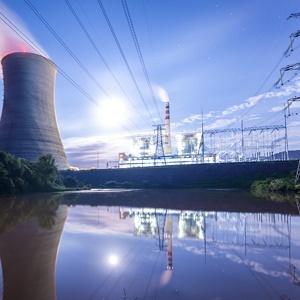 Rosatom, Areva, EDF, Toshiba’s Westinghouse Electric unit, China Guangdong Nuclear Power Holding Corporation and Korea Electric Power Corporation previously expressed interest in building new reactors in South Africa.